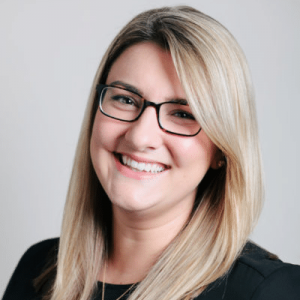 Editor’s Note: The following article is based on Liz Cain’s presentation at SalesLoft’s Rainmaker Conference. You can see the full presentation here. I’m going to take you back, way way back. The year is 1999. And what we now consider to be “old cloud” companies were just being founded. Salesforce was one of the first out of the gate with an inside model. 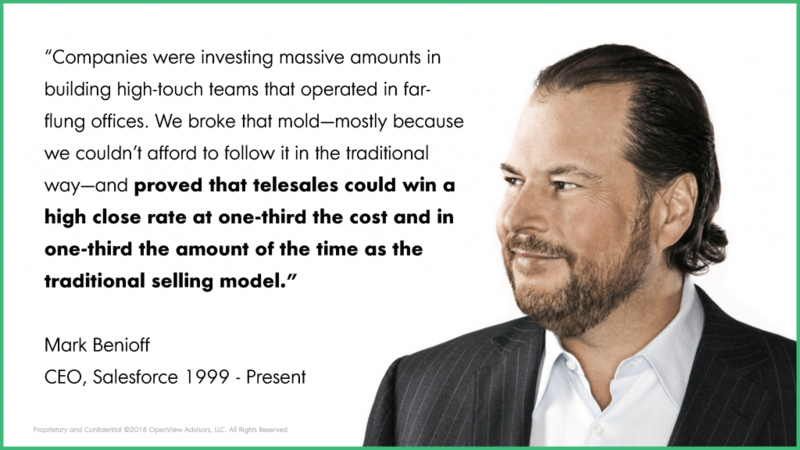 Marc Benioff and his team demonstrated a consistent ability to scale with an outbound sales team in those early years. And with that, modern inside sales was born. 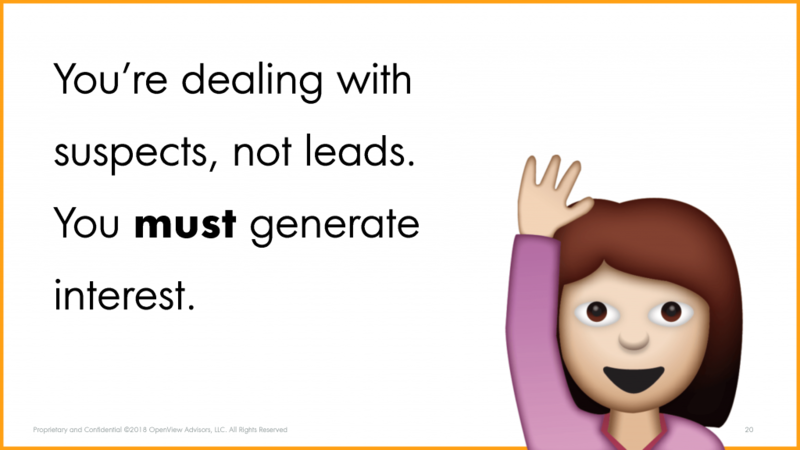 Building an outbound sales motion is not new, and yet almost every company makes the same three mistakes in the first months of getting up and running. 1. You don’t know your top segments, and if you do you’re not prioritizing them. Every company starts broad. Excited by a large market and countless use cases, they take what comes to them. But, to make outbound work, you need to get hyper-focused and be relentless in prioritizing your efforts. Let’s start with the basics. What is a segment? A segment is a group of customers that can be addressed with the same go-to-market strategy and product. LinkedIn is one example of a company that has a done a phenomenal job of defining, prioritizing and addressing clear segments. They’ve taken the same basic product features and packaged them in a way that they can go to market targeting 4 distinct groups, each with one clear product and message. 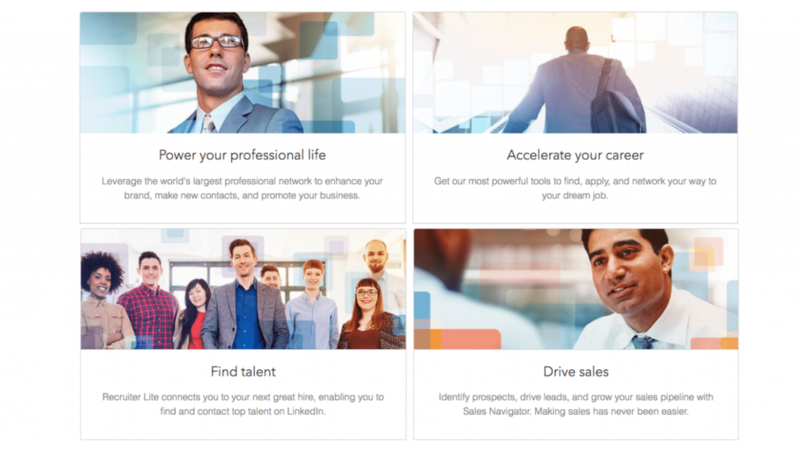 They approach professionals, job seekers, sales teams and recruiters each with their own unique offering. I’m writing checks to LinkedIn for 3 of the 4 right now (infuriating, but you have to admit it’s genius). As you think about applying these lessons to your own company, a few pieces of advice: start by reviewing the past and getting a firm understanding of your data. Come up with a hypothesis – get your sales, CS and marketing leaders in a room and hear what they think, then try to validate or disprove these hypotheses with real information. Finally, it’s time to experiment and this brings me to my second lesson. 2. 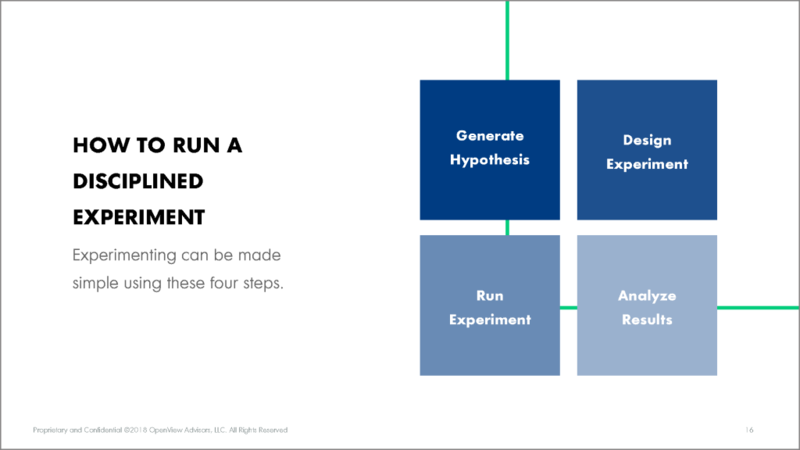 You don’t run experiments, you pivot. Most startups and many teams are nimble and can implement changes quickly – they can iterate on the fly. While that’s an admirable trait, you need to create a culture of discipline around experimentation for outbound to be successful. One rep succeeding in a territory is not necessarily repeatable. Figure out the levers you can pull and work through them systematically – if you can’t measure it, you won’t know what worked. The risk comes when a sales leader, or founder or even CEO gets too excited by too many new ideas. Every new idea is a GREAT idea, but more importantly they want the entire company to chase it. It’s confusing when you’re moving too quickly, all in different directions, pivoting regularly – you hamper your own progress. The most common one I see? Moving to enterprise. Companies close one or two enterprise customers and get big deal fever. They pivot their entire company and point the outbound team at ONLY enterprise meetings. A culture of experimentation needs to be established at the top and pushed down into an organization. It takes guts to test things, fail and go again. Leadership teams need to create room for this and encourage creativity without repercussions. So how do you actually run a disciplined experiment? It starts with a hypothesis – what are you here to test? Then you need to identify the different factors, design a process, agree to a timeline and be crystal clear on the metrics you will track to determine if it worked. After you run the experiment, you need to be rigorous in your review. If it worked, the next step is to figure out how to cap out this option – how far can it scale? Let me take you through an example of how to do this at your own company. When you decide to start an outbound team, you don’t just hand them phones and say “go”. 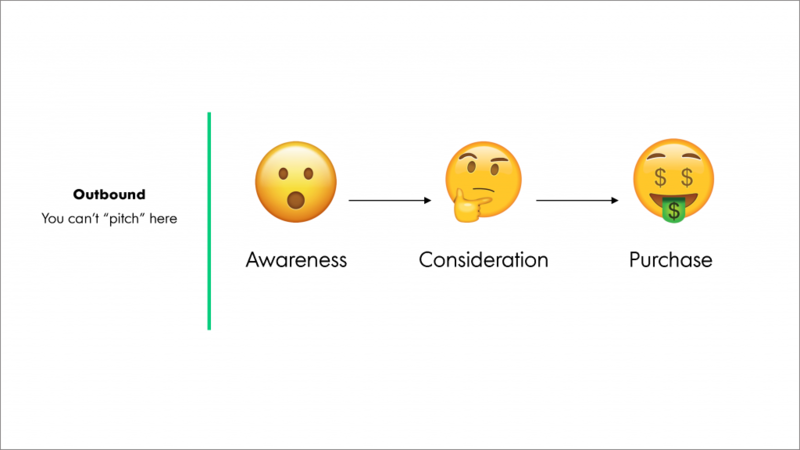 You narrow in on a particular segment and make a hypotheses around what persona to target, what messaging to use, how to procure the targets, and how to prioritize outreach. Each of these small decisions is a variable to be tested. When you look back in 90 days, how will you decide if you should pour in more resources or start the next experiment? You have to get clear on your measurements – for example, fully-loaded cost of lead acquisition and conversion rate to customer. Last, but certainly not least, when you shift from inbound to outbound, you naturally engage your buyer earlier in their journey. You might get lucky and call on a hot buyer, but more likely you will need to nurture, educate and develop a relationship long before you can start your sales process. And yet, most companies design a sales process that starts with “qualification”, which assumes your buyer is ready to be qualified. There is fundamental difference between a suspect, an individual or business in your target market who you believe would benefit from your product or service, and a lead or hand-raiser, who shows interest and provides his or her contact information. This distinction is important – when you go outbound, you are dealing with suspects. And suspects have not even started their buyer journey. Your sales team is probably used to dealing with inbound leads, they dive in around the consideration stage, pitch your product and focus on qualification. You’ve likely all heard the stat that 67 percent of the buyer’s journey is now done digitally (SiriusDecisions). Whether or not you fully buy it, you have to agree that the rise of the internet, digital economy, and information overload have created flexibility and a well-researched buyer. Which means we’ve come to rely on leading with our product and pitching early and often. When you flip to an outbound motion, the key is to focus earlier and help your prospect get to the awareness stage. Your time needs to be spent on thought leadership, closely tracking each suspect to ensure you are using the right content at the right time to engage them. If you have segmented your market correctly and have a narrowly defined ICP, this becomes much easier. This is a key coaching opportunity – you can teach your team to play the long game, and arm them with the right content and messaging to create that awareness of a greater problem, before pitching. One company that has done an exceptional job of telling their story, creating awareness of a common problem and defining a category is Zuora. If you haven’t heard of them, Zuora is a SaaS platform for recurring or subscription billing. 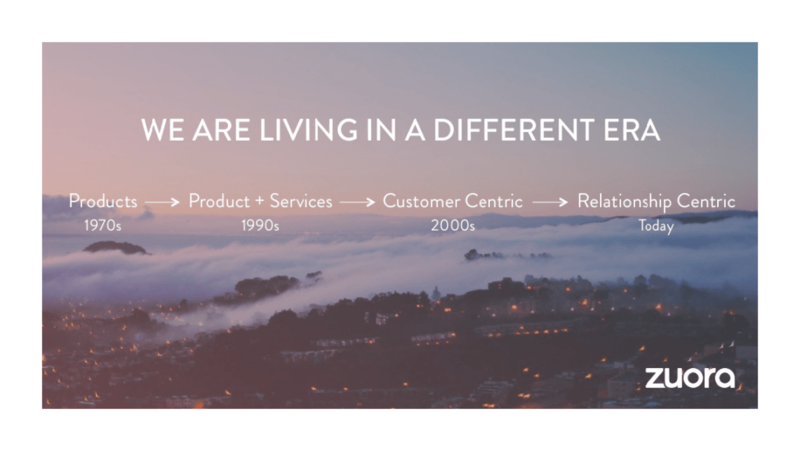 Andy Raskin does an amazing job of outlining their entire pitch here, but at the highest level they’ve managed to tell their story in terms of a market revolution and not just one customer. Zuora coined the phrase “subscription economy” to name the trend in which buyers increasingly choose recurring service payments over outright purchases. Their outreach is not about their product, their investors, their clients or their success. It’s about education – most companies aren’t even aware that there is an opportunity to automate these manual processes. They’ve managed to take this story and infuse it in everything they do aligning their marketing, SDR and sales teams around the idea that you need to educate before you can sell. Define and prioritize your segments. This article was inspired by a recent presentation I gave at Rainmaker 2018. You can access the full presentation deck here.